Suitable for almost any wall or setting timber bi-fold doors are an elegant way to enhance your living space, open up rooms or bring the outdoors inside, to make the most of your garden, patio or terrace. 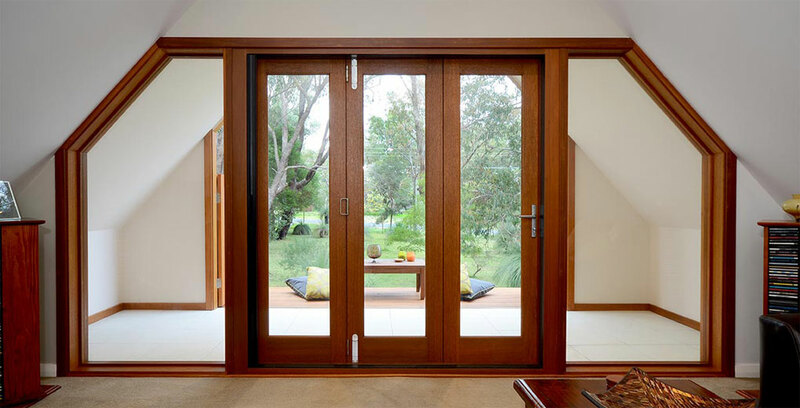 Also known as sliding, folding or patio doors they typically run along a simple track and open using a hinged mechanism that offers the flexibility of being open, partially open or securely closed. Ideal for new conservatories, extensions and garden rooms bi-fold doors add versatility, style and value to your home, increasing space and light to open up interior spaces. Manufactured to the highest specifications incorporating strong, long-lasting fittings, we can supply and install timber bi-fold doors to perfectly suit almost any room or space. 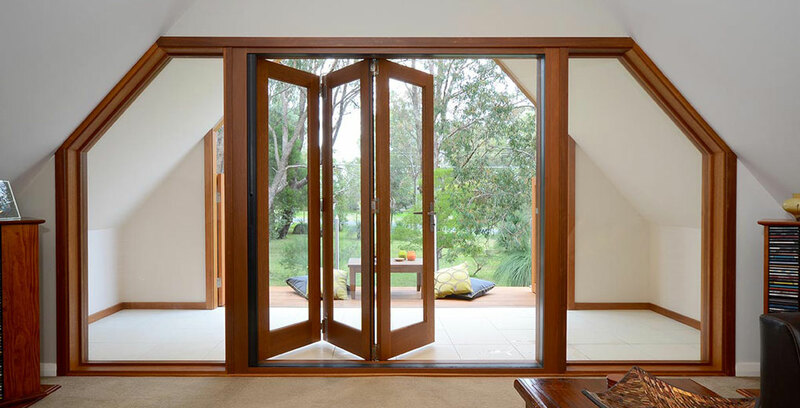 Designed to discretely slide, fold and unobtrusively stack all our bi-fold doors conform to – and in many cases exceed – the highest industry standards. 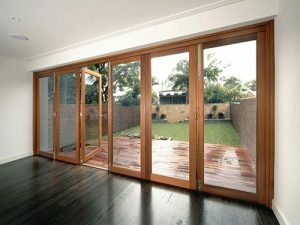 The bi-fold doors we install are made by craftsmen, constructed of long-lasting, engineered timber and are available in solid wood or a variety of glazed finishes to suit any style of property including Victorian, Georgian and Edwardian homes as well as modern constructions. High levels of insulation mean rooms are usable all year round, not just in the warmer months. Traditional workmanship is enhanced with modern technology and materials to provide excellent levels of security, heat retention and noise insulation along with ease of use and reliability. Weather resistant paint and coatings create a durable, resistant finish that will last for years and require minimal upkeep. The fittings, mouldings and flush floor tracking we use reduce inconvenience, maintenance and cleaning time. The result is an unobtrusive and stylish way to open up your home, adding extra space as and when you need it. All of our wooden bi-folding doors are made to order and we can provide bespoke design solutions to suit any property including period houses, new builds and renovation projects. One of our team will be happy to visit your home and provide you with a free assessment of its suitability and a no obligation quote for providing and installing your new bi-fold doors. Click here to get in touch or give us a call on 07511 890 440.